He lost his superstar front desk staff! Now, we all know filling a front desk position can be difficult, right? It doesn't pay very much and we’re asking people to do a lot of things - they answer phones, book patients, bill insurance companies, talk with insurers, laundry, take payment, schedule next week appointments, show and sell product to patient, fill charts, and the list goes on. I used to own ALOT of clinics. And although I don’t own clinics anymore, if I had to do it all over again, I’d be approaching my front desk differently. You see, my front desk really are my sales people. So I’d be looking for people with more sales or customer experience versus medical experience. I mean, why do we want to hire a Medical Office Assistant who has worked in a doctor’s office? They don't necessary have the best patient experience, right? Yet it’s something many of us do. But interestingly, there is a big trend occurring right now where clinic owners are hiring sales people at their front desk. This is a big shift and I am definitely a big proponent of it. If you want that job to do one thing, it’s to get patients to love your clinic and to book more patients, either at the clinic or over the phone. And of course, that has a direct correlation with revenue and new patients at your clinic. Here’s the thing though, front desk staff aren’t valued enough in most clinics and you need to flick the switch on that. For instance, the name “front desk” - I really hate that! You really have to flick the switch and start looking at your front desk role very differently. Some people don't even show up for the interview!! So, the first challenge we face is overcoming these frustrations. And thankfully, after hiring hundreds of staff for my 100+ clinics, I did develop a more efficient (and enjoyable) process to do so. Make Every Conversation Count With A New Patient. Is Your Clinic Answering The Phones? I want to share a process I love and use to hire myself. Don’t go after people with MOA diplomas or even people with experience in health. Choose people who have a proven track record in customer service or inside sales or call center experience, especially those with a track record of loyalty and staying at a job for more than 2 years. Spend a short period of time at the beginning of the group interview establishing the opportunity and sharing your goals and missions. If you email invite 80 candidates, 30 people will show up to the group interview and this is a good thing because you already weeded out the bad candidates. Then implement Intelligence Test and Teamwork Test with the group ( click on those links to download the tests to use). This will help you rank the candidates who are smarter, better communicators, and better teammates. Once you establish some great contenders from your group interview, you’ve already saved yourself countless hours of meeting one-on-one, and now you have a great shortlist of contenders (select around 2-3 from the original group of 30). Have a list of questions handy to ask each candidate and make sure you have other staff members join you at the one-on-one interviews. Remember, you are bringing a person into the team, so make it a team process. Always make sure to do a reference check, asking specific questions to validate facts and to explore any key areas or possible gaps in skill. I like using the DISC profile. This is a personality test. The DISC profile is free test created by American Psychologist Dr. William Marsden in the 1920s, assessing individuals and assigning one behavioural style; outgoing, task oriented, reserved or people oriented. Having your candidates complete the DISC profile will give you amazing insights on the person’s strengths. The Strength Test 2.0 will ask hundreds of questions and give you the top 5 strengths of the candidate. Millions of people around the world have completed the Clifton Strengths Finder assessment. The theory is to hire somebody who already have the strenghts you want and just double down on them instead of trying to fix their weakness. Once you hire the perfect front desk, it’s your responsibility to provide them with the right training, and you need to measure their success to determine that you have in fact, chosen the perfect candidate. Once you’ve hired a new “client experience coordinators” the most important factor within the first month is how well they are booking patients, both in person and over the phone. Second to that, are they able to multi task a bunch of things at the clinic and still pick up the phones? Or do they get stressed out? Over the years, I’ve hired hundreds of people and I find that within the first month, you will know whether that employee is a good fit and has what it takes. And if they don't, do both your clinic and the new hire a favour, let them go sooner! The last thing you want is to keep a person for years and have to fire them down the track. It’s not only an expensive mistake but it’s morally bad for your business. Here is the fact: for most clinics, every bad hire will cost you $3000 per month or more. Especially when you factor in overtime you have to pay for all the existing staff training and the potential loss in business because they are messing up with the bookings or not picking up the phones. So now you know what to look out for and what not to do, let’s talk about how to train staff right and measure the success/ progress. You can’t just expect people to walk in and take over the job, you absolutely MUST provide quality training! You need to roleplay these questions at your next staff meeting, making it fun and engaging. Have cue cards at your workstation for each objection so that it’s easy to remember what to say and do. 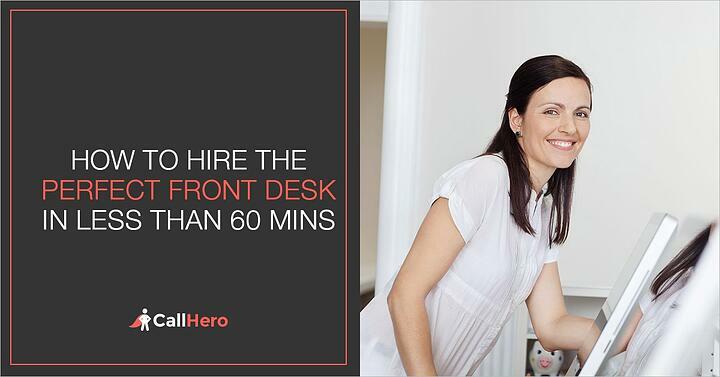 If you use CallHero, listen to a recorded call together with your teams and have discussion on how to boost booking rates. This manifesto will help imprint them with the desire and commitment to deeply engage with each patient. 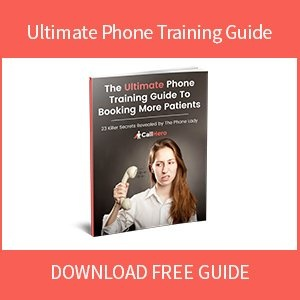 For proven ways to book more patients over the phone, I recommend you grab our free phone training guide - the guide provides 23 strategies you implement during your hiring/ training process. Your goal is to create a patient experience culture at your clinic and start measure your call tracking metrics so you can see the impact of your training. During the training period, you are NOT only teaching them everything they need to book a new patient with confidence. You also need to measure whether they ANSWER the phones (answer rate) and whether they are BOOKING patients (booking rate). This is especially critical within the first month of hiring. And if you base your training on these phone call analytics, you’ll know by the end of the month whether this person will pass your one month test or will you need to find another person. You can also compare the new hire booking rate metrics with the other team members? And ask yourself: How do they compare? Can I train them on all the patient sales objections? For CallHero customers, many of you are already doing this and you can check in to your dashboard for real time data any time you choose. 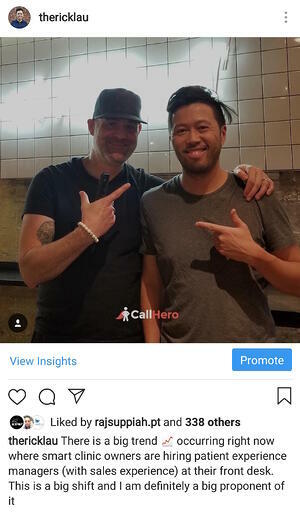 If you’re not currently measuring call tracking metrics, CallHero provides an easy way to do it, particularly during the month you’re onboarding new staff. You can use our CallGrader Answer Test to measure answer rates of your new hire. Remember Roger, the clinic owner I mentor? The one I mentioned above who lost his superstar front desk? 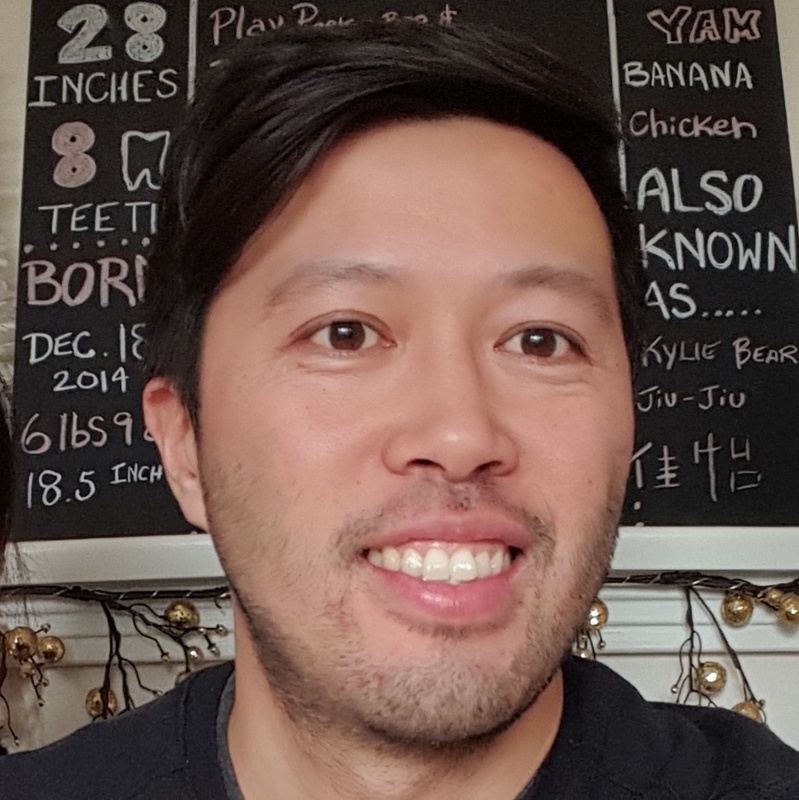 His clinic in Alberta gets around 1000 phone calls per month. Prior to the new hire, the clinic was answering 90% of the phone calls. With the new hire and training, his answer rate dropped to 60% of the phones calls. Which means the clinic was answering 300 calls less. As you can imagine, this problem is going to cost your business a lot! But if you aren’t measuring, how will you know if your answer rate has dropped? How will you know if your new hire is doing their job? How will you know how many of those 300 calls are new patients or existing patients? You won’t! And if you don’t know, you could go on for weeks with your business steadily declining. If you take the CallGrader Answer Rate Test, you can get a snapshot of your answer rate before and after the hire. This will help you measure your new hire and and figure out if you chose the right one. Call Grader can help you make your training program better so you don't lose bookings. And it can help you decide whether you should keep this new hire after your one month trial period. It really is an essential tool for training and measuring, one that can help you make the right business decisions - I highly recommend you take the CallGrader Answer Rate Test for your clinic.